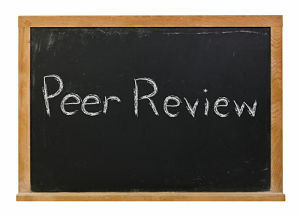 AICPA Peer Review is dedicated to enhancing the quality of accounting, auditing and attestation services performed by AICPA members in public practice. If a client came to you 10 years ago with an innovative idea for a new product, such as a winter coat that is warmer and lighter than any other on the market—you might say “Great idea. How will you fund development of a prototype?” Back then seeking funding was not yet a simple task. But in 2016, there are myriad crowdfunding sites available to help would-be entrepreneurs take their ideas and make them a reality. As a CPA, you are in a position to help ensure your client seeks this funding properly and in a fiscally responsible manner. You may not yet be familiar with the rules and regulations surrounding crowdfunding, but the U.S. Securities and Exchange Commission released new rules in May. These guidelines, along with revisions last year to the existing Regulation A rules, expand the opportunities for small business capital raising by simplifying requirements for small businesses to access the capital markets. Both rules were issued by the Securities and Exchange Commission under the Jumpstart Our Business Startups (JOBS) Act.